When it comes to choosing a full-size pick-up truck, Canadian buyers have a host of options at their disposable, and lucky for them there are very little if any bad alternatives. Among the most popular full-size pickups on the market is the 2017 Chevrolet Silverado, a truck that stands out in so many ways, we can only conclude that it’s overall balance is what has helped it become so popular among consumers. 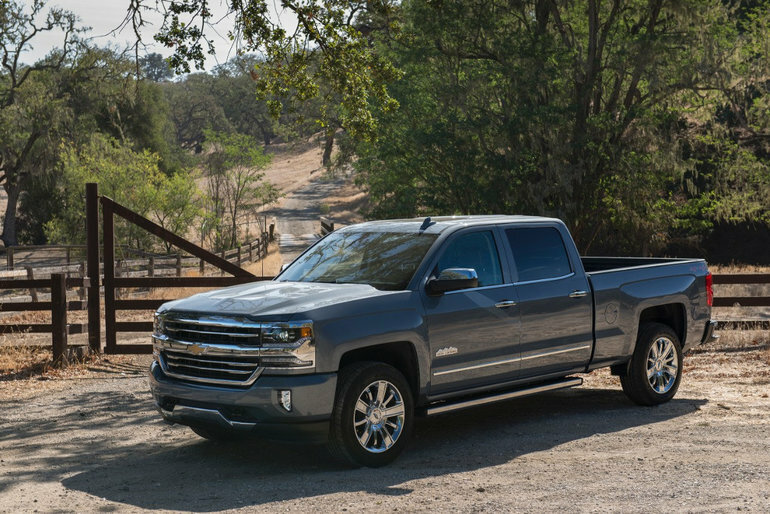 The new Silverado features a host of attractive features starting with its impressive payload and towing capacities, but it also offers its owners all of the latest tech and connectivity amenities you want in a daily-driven truck. The 2017 Chevrolet Silverado comes with a choice of three engines that should satisfy the towing and payload needs of every buyer. The entry-level powertrain is a 4.3-liter engine that delivers 285 horsepower and 305 pound-feet of torque. This engine is paired with a six-speed gearbox, and unlike other base engines found in the full-size pickup segment, it doesn’t force you to compromise on payload and towing in order to get a lower starting MSRP. That said, buyers who want more power under the hood of their full-size pickup can turn to one of the two V8 engines offered in the Silverado lineup. The first is a 5.3-liter unit that delivers 355 horsepower and 383 pound-feet of torque. It will be paired with either a six-speed automatic transmission or an 8-speed gearbox depending on the Silverado version you opt for. Towing capacity can reach 11,500 pounds with the first V8 in the Silverado lineup. Next up is a 6.2-liter V8 that offers 420 horsepower and 460 pound-feet of torque. At the top of its segment when it comes to power, this engine also allows the Silverado to boast the best towing capacity in its class at 12,500 pounds. Payload is an impressive 2,250 pounds. Along with its lineup of powerful engines, the 2017 Chevrolet Silverado is also a stand out in the tech and connectivity departments. It all starts with GM’s OnStar system which is available on the Silverado and that features a wide range of exclusive features such as a customer service agent who is always available to help guide you, or even book a hotel room for you. Then you have a wide range of safety systems that can notify the authorities if you are involved in an accident as well as locate your truck if it is stolen. And with features such as a wireless charging station for your mobile phone and built-in 4G LTE Wi-Fi, you are always connected wherever you go. To learn more about the 2017 Chevrolet Silverado, contact us today at Bruce GM Middleton!